December 2012 Recent research by the group has been highlighted in the Editor’s choice section of the December issue of Science. The work originally appeared in the Journal of Physical Chemistry B. (Highly ordered nanorod assemblies extending over device scale areas and in controlled multilayers by electrophoretic deposition, by Ajay Singh, Niall J English and Kevin M Ryan, Journal of Physical Chemistry B,10.1021/jp305184n, 2012). The paper reports on a new technique of electrophoretic deposition to deposit and order individual nanoparticles into large structures. The paper shows that control over net particle charge and dipole leads to the formation of well-ordered, tightly packed multilayers of vertically aligned rods. The technique will be used in the development of new materials for use in photovoltaic cells. 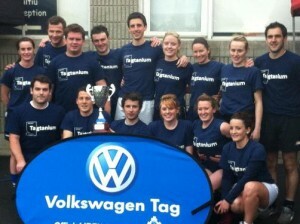 On October 3rd and 4th the Intel Ireland Research Conference took place in Croke Park, Dublin Ireland. 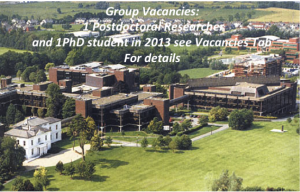 The conference, which forms part of the ERIC (European Research and Innovation Conference) Series 2012, brought together more than 150 delegates from across Europe representing enterprise, academia and policy makers. The event, which is held annually in the region, is an important building block in driving a world-class ecosystem in Europe for research, innovation and collaboration. 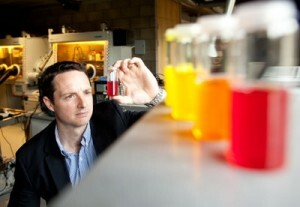 Research led by the Materials and Surface Science Institute (MSSI) at the University of Limerick has developed a cost effective solution to generate innovative solar energy conversion materials. 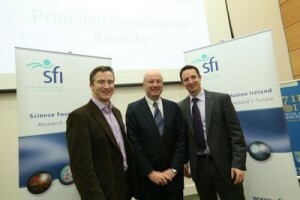 The research project recently received further government support through a €700,000 Science Foundation Ireland grant. The solar industry is worth over €100 billion globally and is the fastest growing energy sector. Despite this, the world’s energy requirements which are currently met by solar is less than 1%, which is primarily due to the high cost of production of efficient photovoltaic cells. “To achieve this, we have introduced legislation to allow SFI to go beyond basic research to investigate commercial solutions; we have identified 14 areas which the Government is targeting for commercialisation; and we have adopted a series of reforms to make it easier to commercialise the results of State-funded research, including a one-stop-shop. “Today, I am very happy to announce that the Government is investing a further €39million in 30 new research projects in areas which the Government has identified as having particular potential for jobs and growth, including ICT, health/life sciences and energy. What is particularly heartening is that much of this research is being done in collaboration with companies who are seeking to find new products and services, including Intel and Analog Devices. I congratulate SFI on their achievements; we must now build on this to ensure that even more of this work is translated into commercial products and services and ultimately the jobs we need”. 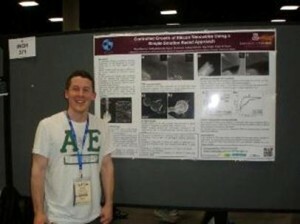 June 2012 : MSSI Research Day, Kevin Ryan winner of MSSI Researcher Award for most ISI publications in 2011, and Hugh Geaney winner of best paper Award. Green Lion is an EU funded FP7 project with the goal of developing more environmentally friendly and cost effective materials and manufacturing processes for lithium ion batteries, with particular focus on electric vehicle applications. The project has a total budget of € 8.6 M over 4 years and encompasses 10 industrial partners, 3 research institutes and 3 universities, including UL, through the group of Dr Kevin Ryan in the MSSI. In present Li ion technology, battery charging involves the intercalation of Li ions into graphite anode materials, with their release during discharge. Mechanical stability and electronic conductivity of the anode is achieved by the incorporation of polymeric binders. Li ion battery research in Dr Ryan’s group has two principal focuses. Firstly, it is sought to replace the currently used fluorine based binders with water soluble, naturally occurring polymers such as carboxymethylcellulose. This approach has both cost and environmental benefits, since fluorinated polymers are relatively expensive, not easily disposable at the end of battery life and, being insoluble, require the use of volatile and toxic organic solvents during processing. The second aspect is related to the development of next generation anode charge storage materials. Germanium and silicon have theoretical charge storage capacities approximately four and eleven times that of graphite, respectively. However Li ion intercalation into these elements is accompanied by large volume increases leading to material pulverisation and dramatic decreases in performance over a number of charge/discharge cycles. This problem can be minimised by using nanoscale materials – in particular silicon and germanium nanowires, developed by Dr Ryan’s group, have exhibited the retention of excellent charge storage capacities over numerous cycles. Furthermore, these nanowires can be grown directly onto metallic charge collectors, thereby reducing the need for binding and conductivity enhancing agents. 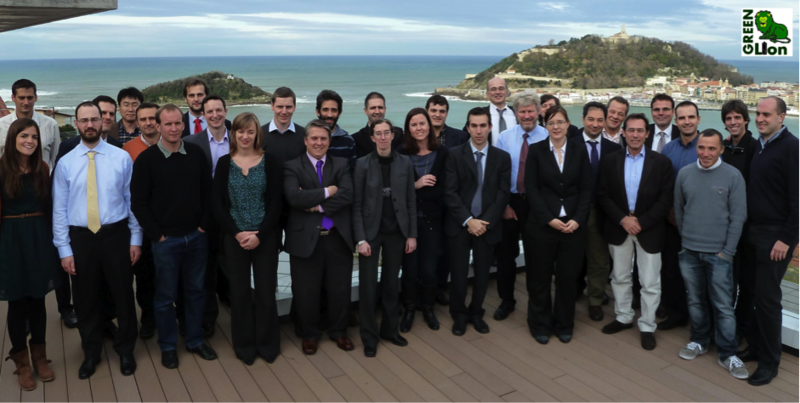 Picture is of Greenlion consortium opening meeting in San Sebastian, included are Kevin Ryan and Tadhg Kennedy from group. 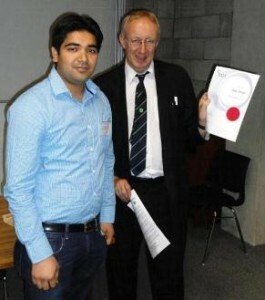 May 2011 Congratulations to Ajay , co-winner of the Society of Chemistry Wesley Cocker Award, 2011. 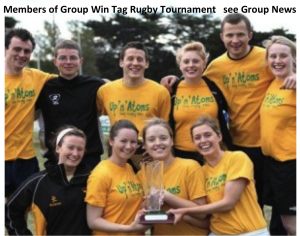 August 2011 Pictured are some members of the research group who recently competed in the 2011 IRFU Tag All-Ireland Championship in Dublin. 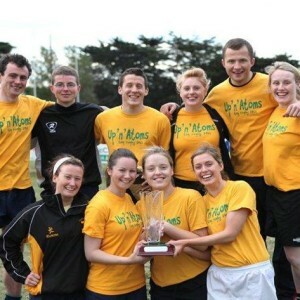 From all over Ireland, 72 teams contested the All-Ireland title in their respective grades having qualified from tag rugby leagues in their region. After a fun filled yet gruelling 6 matches, the ‘Up’ n’Atoms’ emerged victorious and took away the top prize in their division.